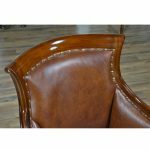 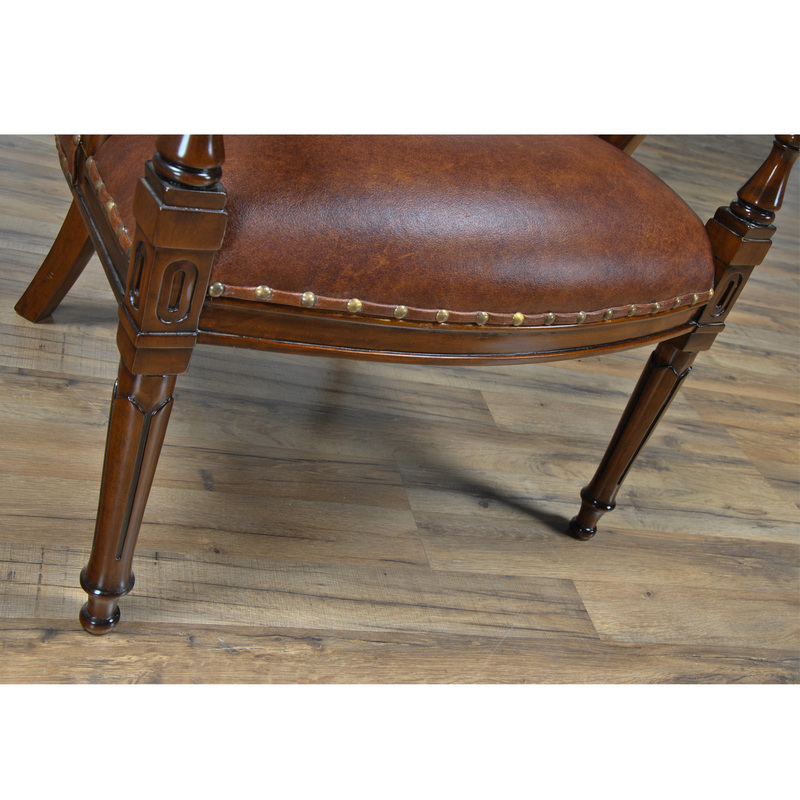 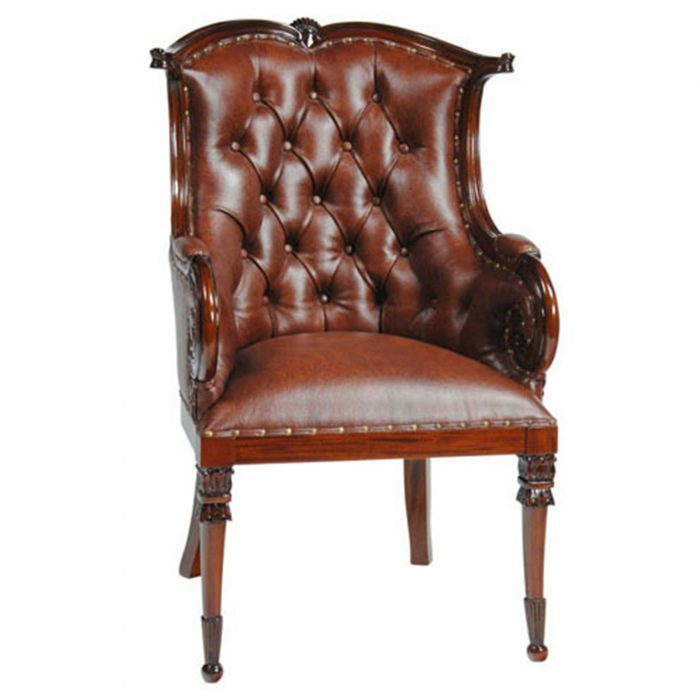 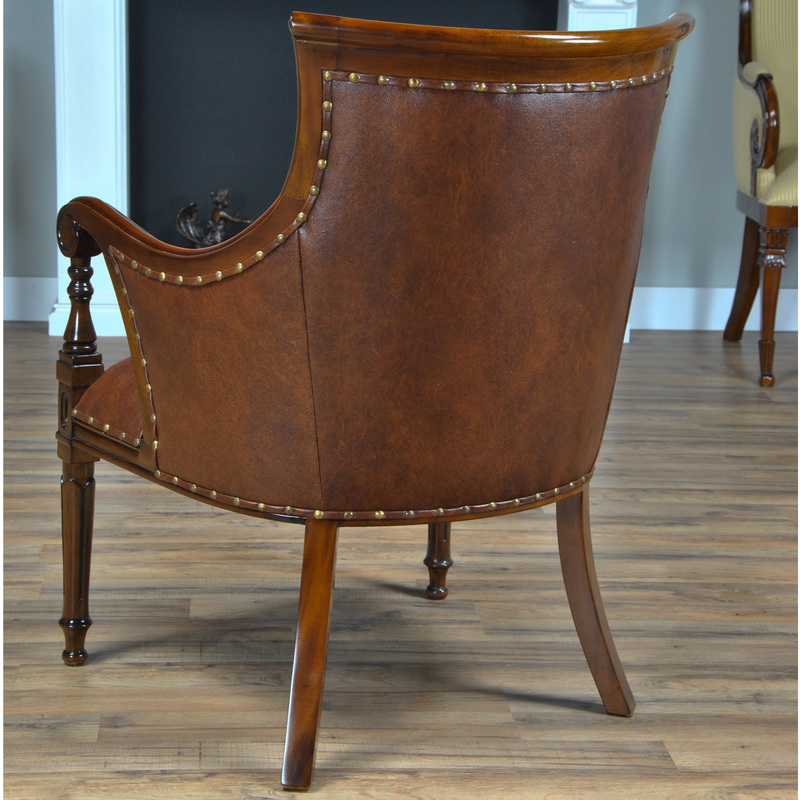 The Niagara Furniture Leather Regency Chair is upholstered using only genuine full gran leather and accented with brass nail trim. 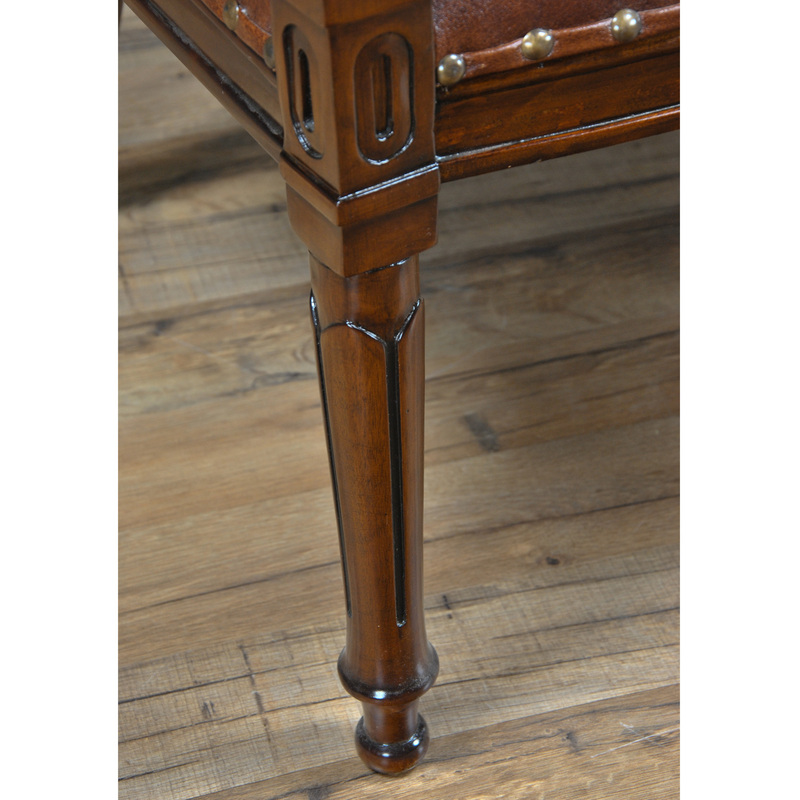 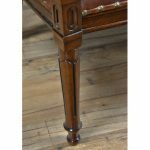 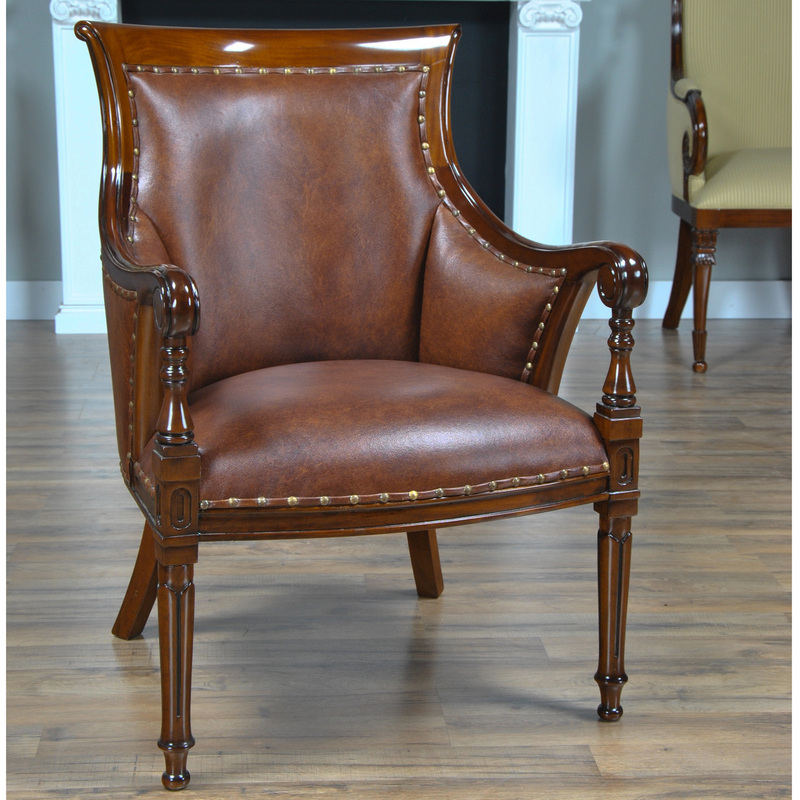 This Regency style chair is often used along the Niagara Furniture collection of office desks although the chair is suitable for use throughout the home. 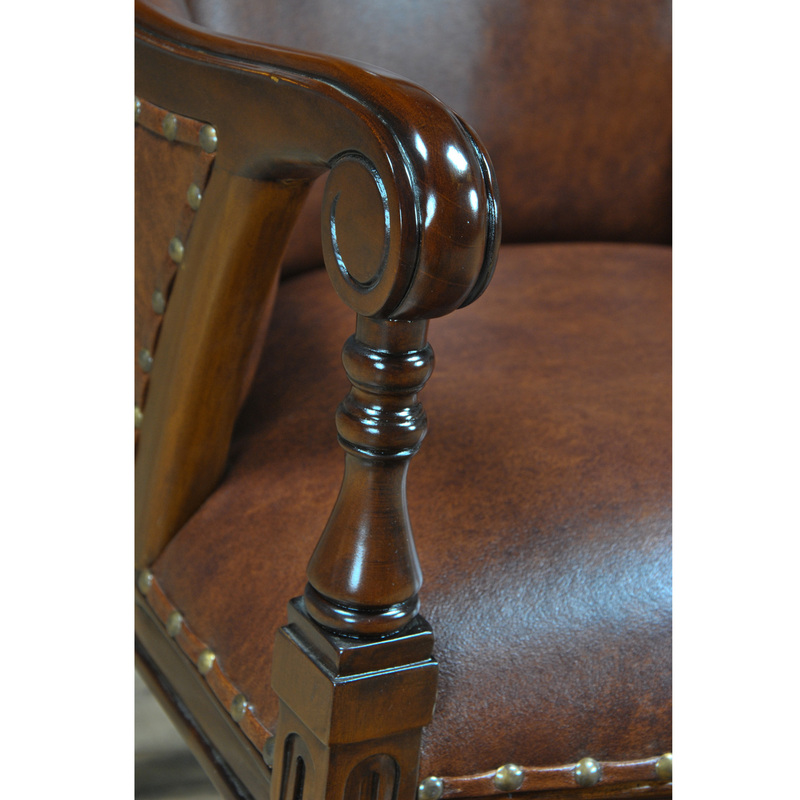 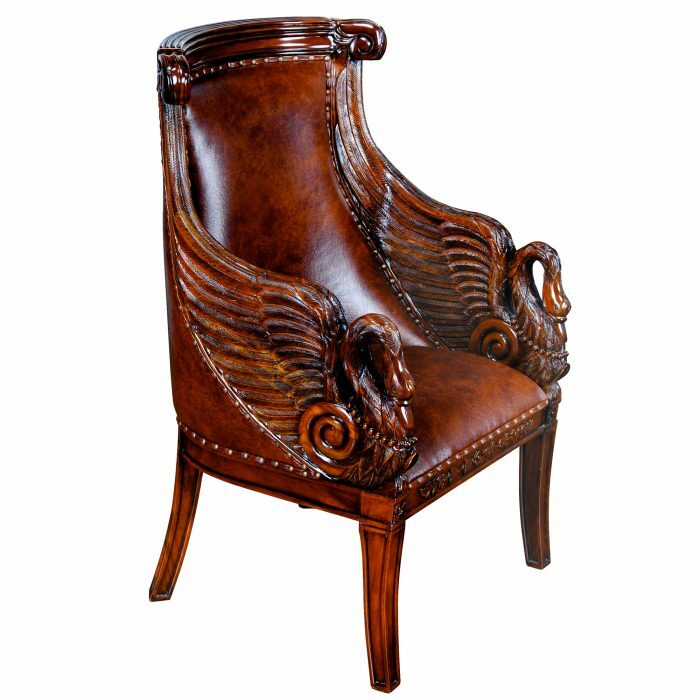 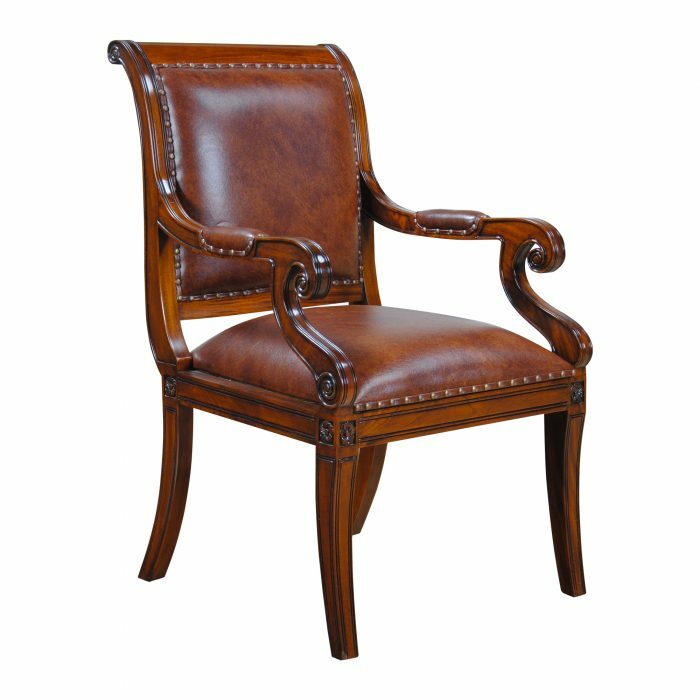 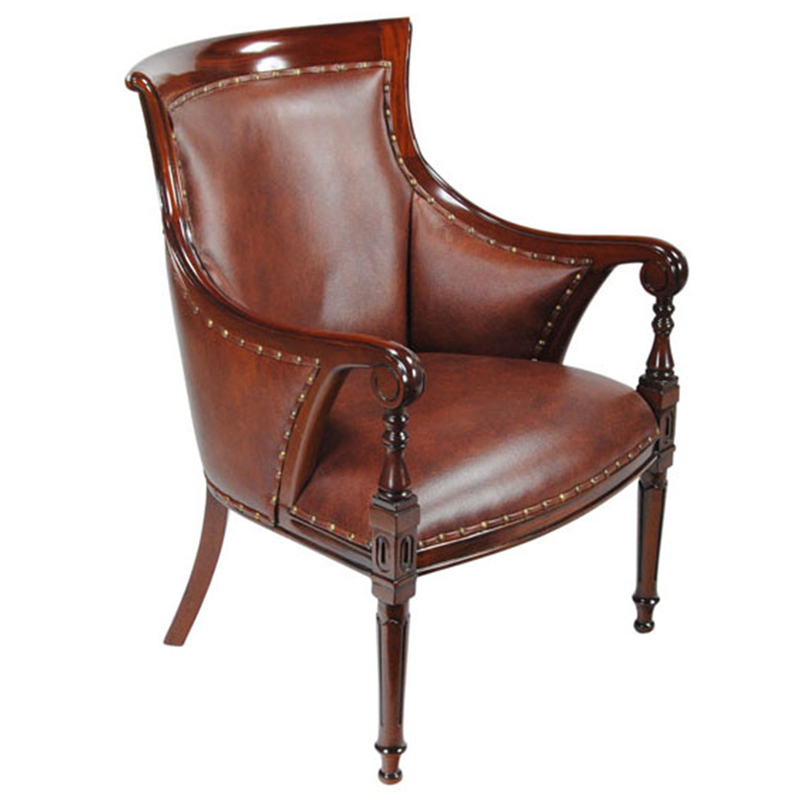 The Leather Regency Chair features sweeping lines created from solid mahogany at the top of the chair which give way to scrolled arms and reeded legs below. 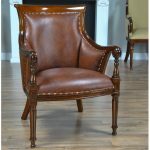 All done in an elegant yet restrained style typical of the Regent period. 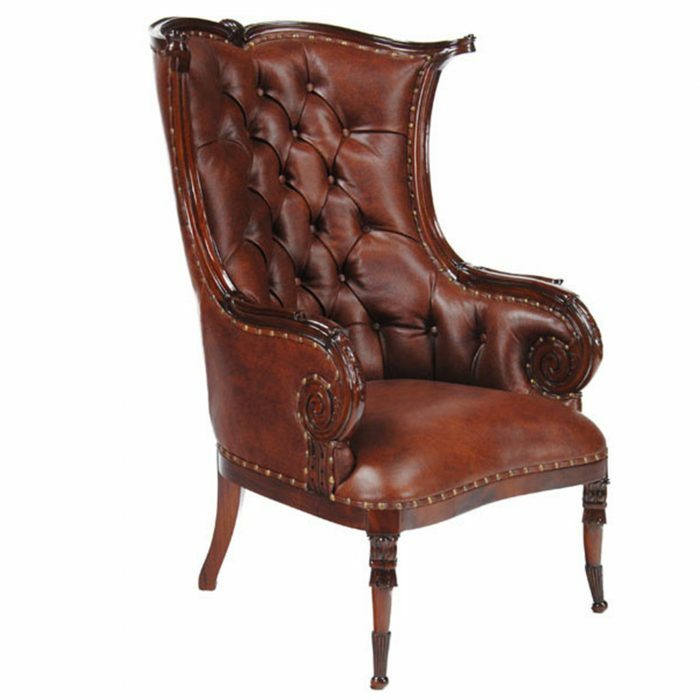 Arm height at the support approximately 26 inches and seat height approximately 18 inches.